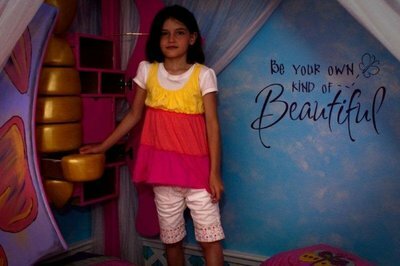 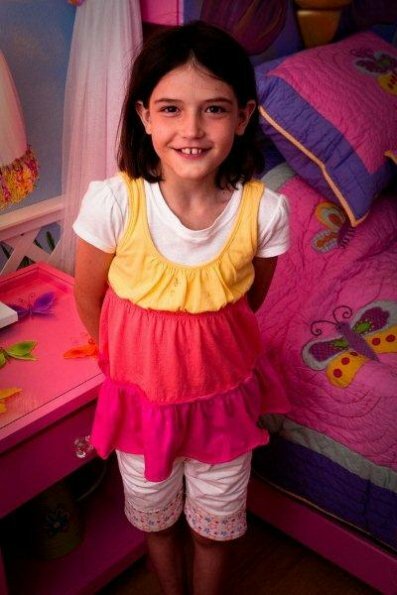 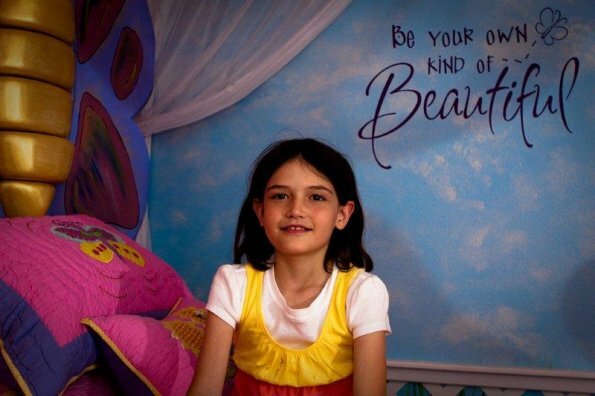 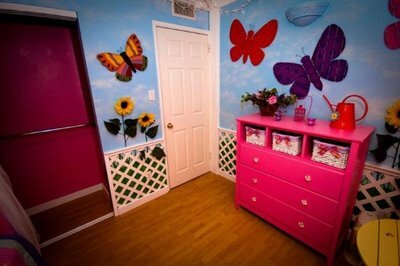 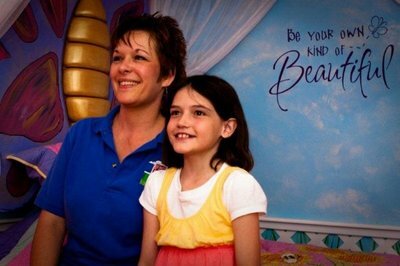 ​10 year old Rainni, who suffers from Cystic Fibrosis, loves butterflies. 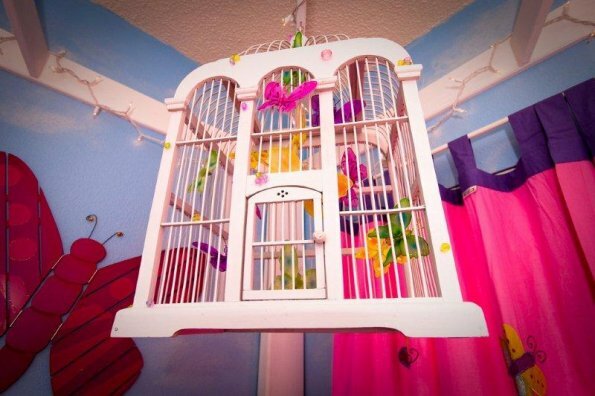 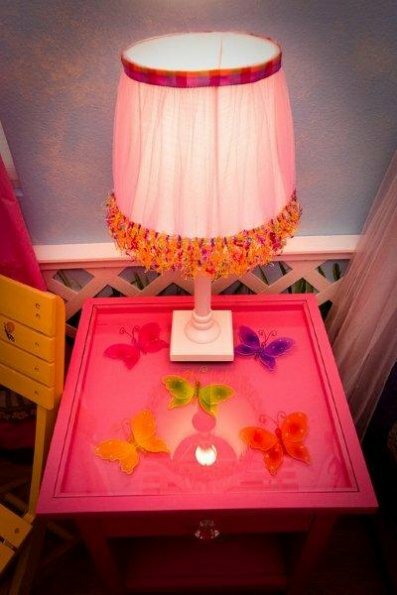 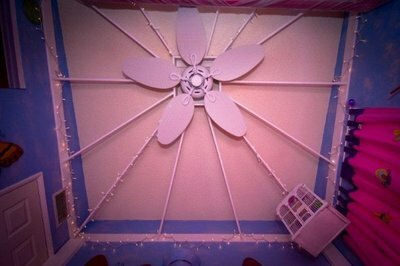 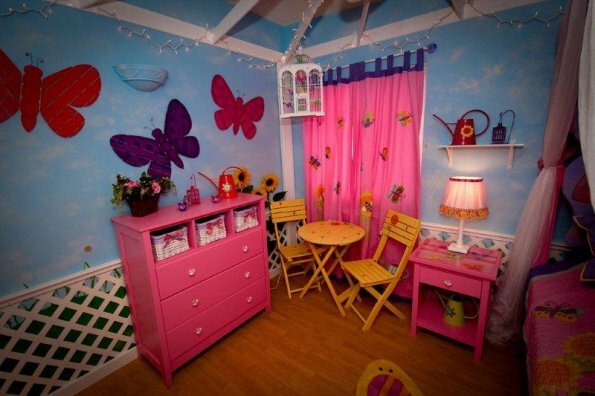 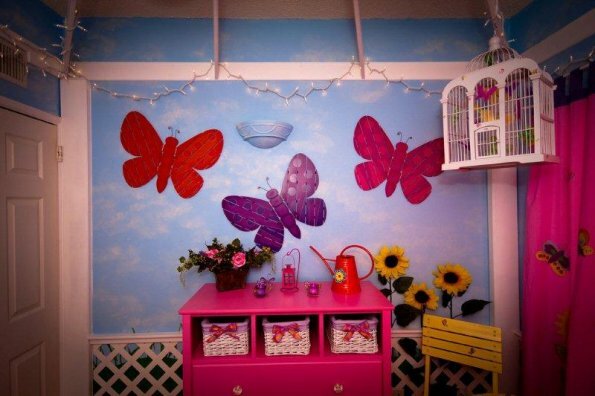 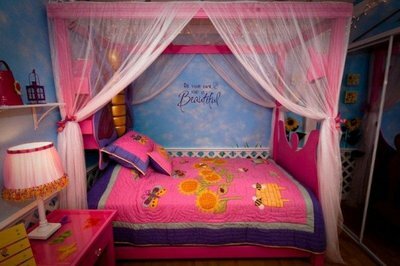 She wanted butterflies everywhere in her room so our design team built a room that gives the feeling of standing inside a gazebo, looking out at the blue sky and the butterflies taking flight! 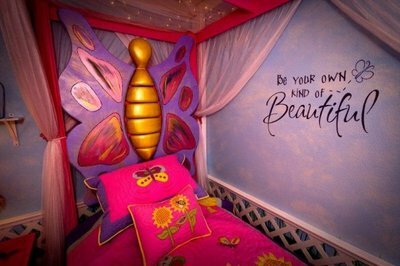 Our master carpenters, once again, raised the bar with the custom butterfly bed complete with cubbies and drawers. 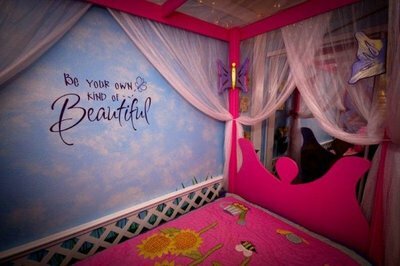 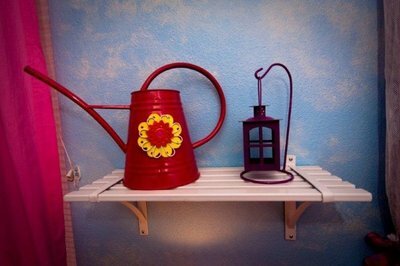 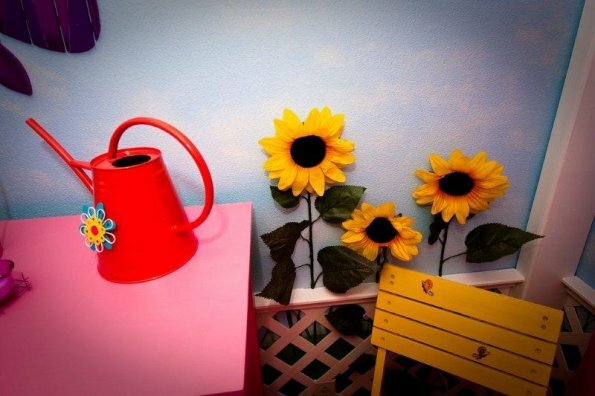 From the hand painted table and chairs set to the blue sky and grass, our artists and muralists blessed another child. 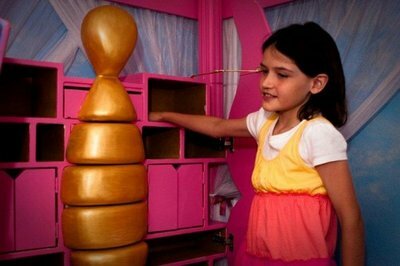 We hope Rainni enjoys her new room.